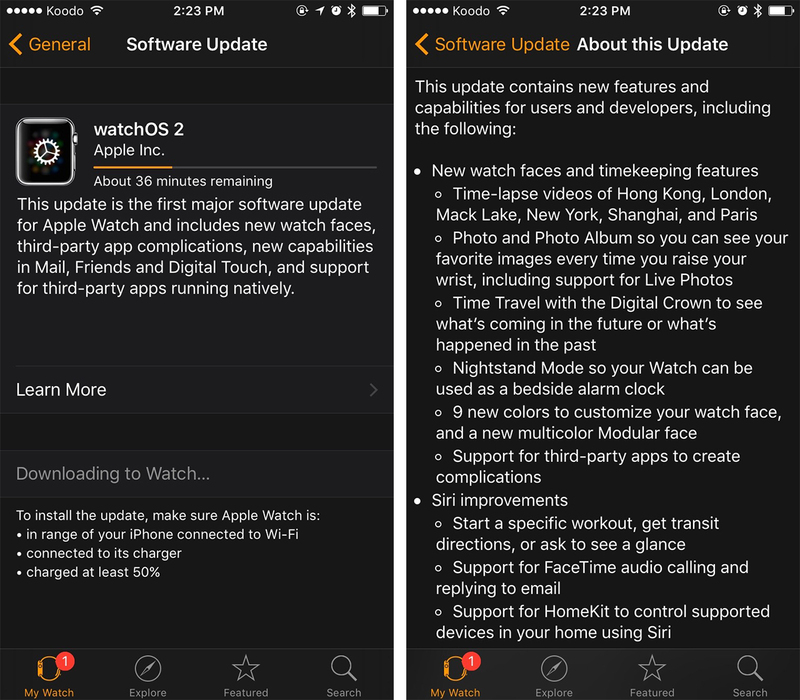 The next version of Apple Watch’s operating system, watchOS 2, is now available for download in Canada. This new update brings a variety of improvements to Apple Watch, and solves a number of early adopter’s complaints about the device. Issues like glances loading extremely slowly have been solved, and new features have been added as well, such as the ability to launch apps directly from the watch face, new Watch Faces, and finally, a variety improvements to Apple’s voice-activated assistant, Siri, when it comes to Apple Watch integration. To download the latest version of watchOS to your Apple Watch, launch the iPhone Apple Watch app and navigate to “My watch”. Next, click Software Update to launch the download. You’ll need to have at least 50 percent battery on the Watch, and be connected to its charger for the watchOS 2 update to install.